Happy April! Amazingly, the first day of the month was welcomed by a heavy shower that lasted long into the day. All of a sudden, plants that have been thirsty for over 4 months got their fill of rain and now look as green and full of live as ever. Currently we are in the romantic stage of the rainy season. You know where it is so ideal to just pull up the blanket and sleep the whole day, take a hot cup of tea or a warm bowl of soup and watch the sky darken in the middle of the day. This is the time when comfort food is much-needed. 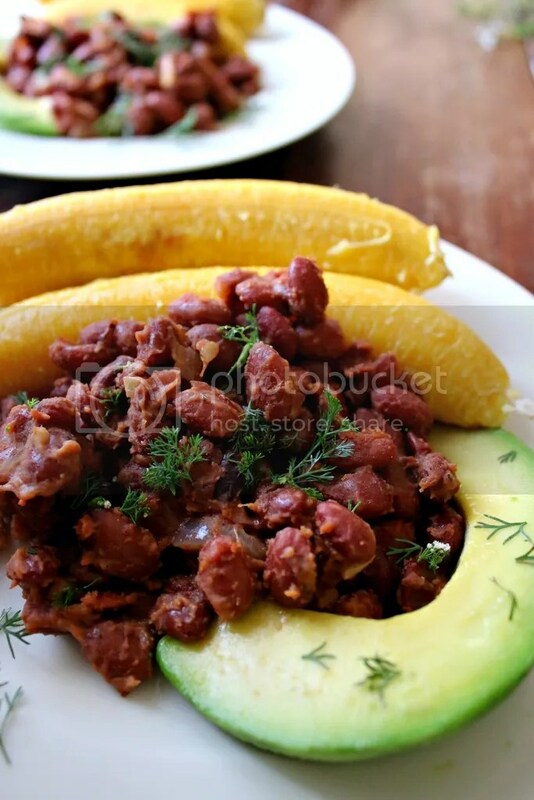 First off are these hearty palm oil fried beans with the perfect accompaniment of plantain. But first, there is something I feel I need to get off my chest. For the longest time, I feel like there has been a huge misunderstanding between plantain and green bananas. Here in the country though, we do know the difference in our local languages but when it comes to English, the two(and generally all species of bananas) have been interchanged. Plantain is locally known as gonjya while Green bananas are known as matooke. 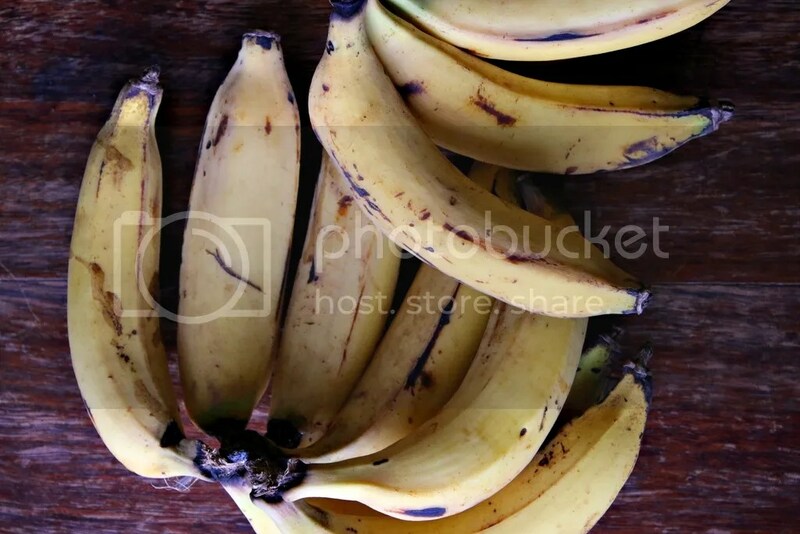 Plantain is a species of bananas that is eaten when ripe. It is usually steamed/boiled with or without the peelings before eating. When they are ready for harvesting, they slowly start turning yellow. The difference between plantain and regular yellow bananas is that plantain is never eaten raw. It has to be cooked. Plantain is popular in the whole nation. It is even considered street food once roasted and put on a stick/ skewer. 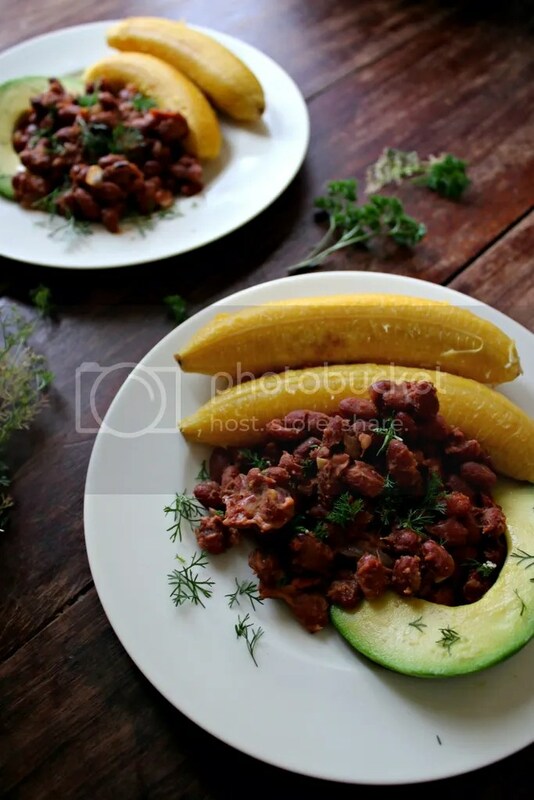 Among many others, plantain goes really well with beans. Long distance travellers like buying roasted plantain from vendors because of its filling and sweet nature. As much as plantain is popular, it is pricey and is eaten on rare occasions. Back to these palm oil beans. Palm oil is a spice in itself and one can be able to detect it from a meal. That is why it is perfect with beans because it adds a flavor even I cannot put into words. Just try it OK! Here is a post I wrote last year about palm oil. One thing I have discovered with cooking is that t is quite hard to stick to specific measurements. I find cooking by instinct a little bit more satisfying. But to kind of give you an idea of the serving size, here is a recipe. Leave a comment below on what you cook with palm oil. Also, have you found someone who mistakes plantain for matooke?